This rocking rainbow unicorn appliqued jean jacket is perfect for the 1st week of school, whether you’re a student or a teacher. I gave my old jean jacket a makeover, with a motif my teenage daughter chose. I did all the artwork and applique, to cheer her up. It came out better than I expected. Now, this is a design I custom created for my daughter, but you could pick any design you wanted. If you aren't artsy, use a simple coloring page to make pattern pieces, focusing on adding smaller detail pieces to a larger background piece...like I added the head details to a big head piece. 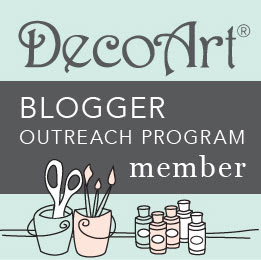 I plan on making a different version for myself, with "Let's Get Crafty" on the back and other design elements. 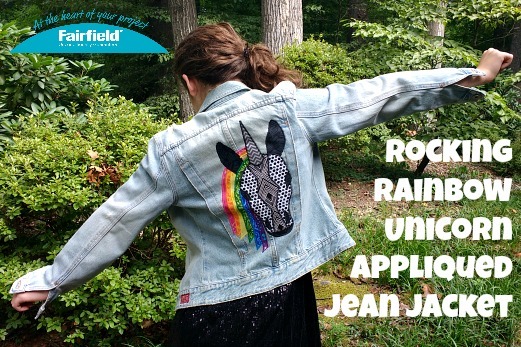 Head over to Fairfield World to make your own rocking rainbow unicorn appliqued jean jacket. Fairfield World provided me with their Stick Fusible Interfacing for this project. They paid me to create this project. The fabric, I purchased at Jo-Ann. The project and tutorial is my own creation.